The pair wrote songs together from 1958 until 1969 and I sincerely think it was the synergy between them that provided the magic. Each provided more of something than the other had, and counteracted some of the other’s weaknesses. As Egil said in his post, there are many books doing the math on how much each of them did on the songs, but that doesn’t tell the whole story. Even on songs like Hey Jude (100% Paul) John was asked about the song, the melody and the lyrics and he gave his advice to Paul. The same happened the other way around with John’s songs. It was John Lennon that suggested that all songs written by either one of the pair (whether written individually or in a collaborative effort) should be credited to both of them, in an effort to emulate the familiarity of the Leiber–Stoller partnership. Between 1962 and 1970 all songs either of them published with the exception of Lennon’s 1969 solo single “Cold Turkey” were jointly credited. 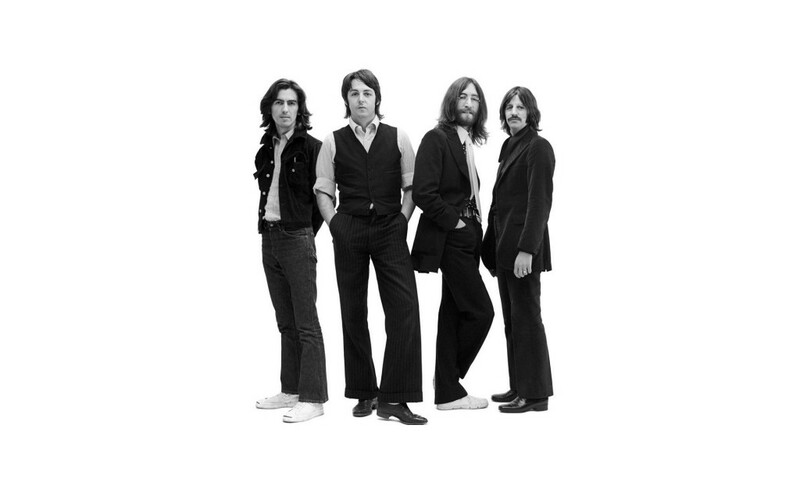 On The Beatles’ first album, Please Please Me, as well as the “From Me to You” single, the credit appeared as “McCartney−Lennon”; on all later albums and singles Lennon’s name appeared first. 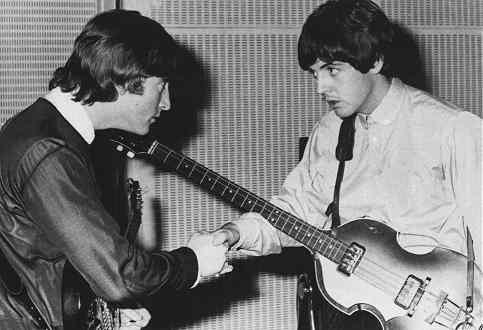 As a result of this mutual agreement, songwriting royalties for the bulk of The Beatles’ catalogue were shared equally between the two. We have here two of the greatest, maybe THE greatest songwriters of all time, and we have one very good songwriter, Harrison. A top ten list is perhaps too short to give a the whole truth and I’m certain that a list of 25 songs would have given us a clearer picture. But even with so few songs my choice is relatively clear, and it comes as no surprise to me. They’re both fantastic and they were best when working together. But the greatest of them all is Paul McCartney! I could name 20 more equally good. 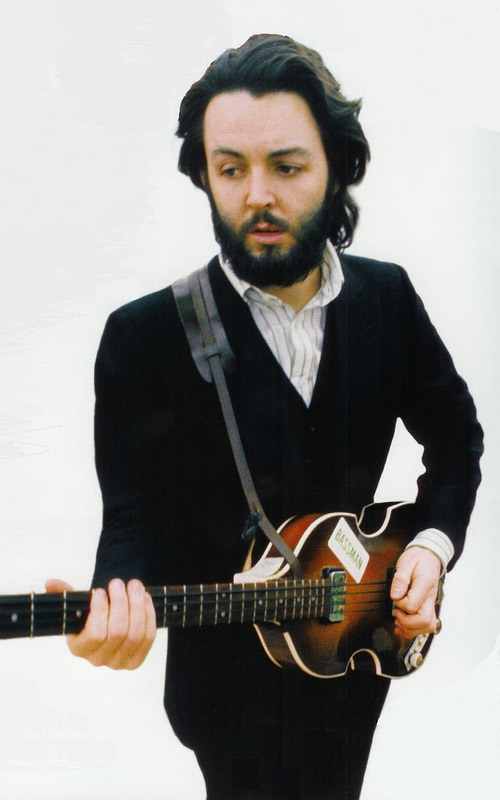 McCartney was/is the best melody maker in rock history. This debate just won’t go away…even now. Because the music just lives on, forever. Paul’s music is lovely; but John’s is so heartfelt it makes me want to cry. Now that may be because some idiot put a bullet in his brain in 1980, but it may be not. It may be because he always came across a slightly unhappy. How to pitch “Norwegian Wood” against “Michelle”? Or “And your bird can sing” against “For No One”? Impossible, of course. Superb canon of music. Unsurpassable. At the rate Paul is claiming authorship of John’s songs, in ten years all of the songs on your list will be credited to Paul. McCarthy-Lennon indeed! Where does he do that? In all the books and interviews I’ve read (too many, really…), there are just a couple of songs that Lennon and McCartney disagreed on, and even on those few the disagreements were minor. say it ain’t so, Hallgeir. i quarrel a bit with your list. what of “norwegian wood,” or “hey, you’ve got to hide your love away,” which would put john strongly back in contention. “Penny Lane” and “Rigby” were great in their way, but ultimately music hall fare, Paulie’s specialty of the house. And “In My Life” alone puts Lennon over the top. They were better together, needless to say, with John playing Lorenz Hart to McCartney’s Richard Rodgers, but the lyrical and vocal edge always remains with John, as was proven in their subsequent careers, where nothing Wings did (God forbid) compared to John’s solo efforts. “The sound you make is Muzak to my brain,” as the man aptly said. Don’t want to be a curmudgeon, but that’s my two cents. Love your site, though. As you have read I do not agree with you (Egil, the other guy at JV does however). If the list was 25 songs I’m sure my list would have been much more dominated by McCartney (Helter Skelter, Blackbird, Yesterday and more). I agree that they were best together. 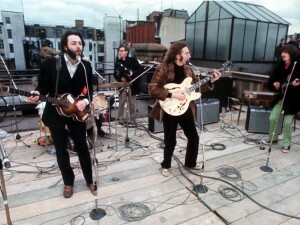 John Lennon dominated the first 5 years, then Paul Mccartney “took over”, and I sincerely thinks he has the vocal edge. The solo stuff: Yes Plastic Ono Band is a classic with a fair ammount of good songs, after that Lennon very seldom came up with good songs. There were a few, but they did not come very often. Paul McCartney has at least 5 records that are better than Plastic Ono band and five more that are just as good as Lennon’s only good solo album. paul’s solo work is getting it’s deserved recognition these days, in every other setting they would be considered classics (and they are! ), but you know: he was in the Beatles and no one can live up to that standard. I love John Lennon’s work in the Beatles and I love his first solo effort, after that, not so much. I think it’s impossible to choose between the two … both are brilliant! Yes they are, I agree completely, but we’re just playing a bit. It’s fun to put your views on display and to watch the reaction from all the Beatles’ fans. We differ on the subject here on JV, Egil prefer John and I prefer Paul.